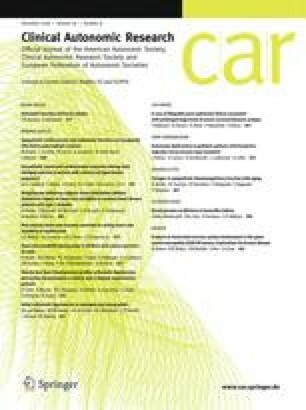 The aim of this study was to compare beat-to-beat changes in stroke volume (SV) estimated by two different pressure wave analysis techniques during orthostatic stress testing: pulse contour analysis and Modelflow,ie, simulation of a three-element model of aortic input impedance. A reduction in SV was introduced in eight healthy young men (mean age, 25; range, 19–32 y) by a 30-minute head-up tilt maneuver. Intrabrachial and noninvasive finger pressure were monitored simultaneously. Beat-to-beat changes in SV were estimated from intrabrachial pressure by pulse contour analysis and Modelflow. In addition, the relative differences in Modelflow SV obtained from intrabrachial pressure and noninvasive finger pressure were assessed. Beat-to-beat changes in Modelflow SV from intrabrachial pressure were comparable with pluse contour measures. The relative difference between the two methods amounted to 0.1±1% (mean±SEM) and was not dependent on the duration of tilt. The diference between Modelflow apoplied to intrabrachial pressure and finger pressure amounted to −2.7±1.3% (p=0.04). This difference was not dependent on the duration of tilt or level of arterial pressure. Based on different mathematical models of the human arterial system, pulse contour and Modelflow compute similar changes in SV from intrabrachial pressure during orthostatic stress testing in young healthy men. The magnitude of the differnece in SV derived from intrabrachial and finger pressure may vary among subjects; Modelflow SV from noninvasive finger pressure tracks fast and brisk changes in SV derived from intrabrachial pressure.